BTL Assessment solutions are trusted by some of the world’s leading Awarding and Professional Bodies to develop and deliver their global e-Assessment programmes. The Surpass platform is as versatile as it is intuitive, allowing it to be used by thousands of people in varying job roles spread across a range of industries. Below you can see some of the organisations we work with; these are organised by category so you can find related subjects at a glance. 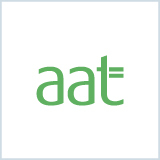 AAT is a not-for-profit organisation established in 1980 to provide a recognised professional qualification and membership body for accounting technicians. It is a worldwide organisation with more than 133,600 members. AAT is dedicated to offering extensive support to all its members and their employers, through its continuing professional development (CPD) scheme, professional regulations, ethical guidelines and more. AAT support their members through more than 500 AAT-approved training providers across the world. BTL has been working in partnership with AAT for a number of years. All AAT exams are developed and delivered through our Surpass Assessment Platform. We work very closely with AAT to develop and deliver relevant, engaging and forward-thinking exams. CPA Canada, created through the unification of three legacy accounting designations, is a respected voice in the business, government, education and non-profit sectors, and champions sustainable economic growth and social development. The unified organization is celebrating five years of serving the profession, advocating for the public interest and supporting the setting of accounting, auditing and assurance standards. CPA Canada develops leading-edge thought leadership, research, guidance and educational programs to ensure its members are equipped to drive success and shape the future. Established in the 1800s, and now with offices spread across Europe and South-East Asia, the ICAEW supports over 147,000 chartered accountants worldwide. As well as sharing insight and expertise, ICAEW deliver a range of specialist accountancy qualifications, talent development programmes and courses for Continuing Professional Development (CPD). ICAEW was shortlisted for the ‘Summative’ category of the 2017 International e-Assessment Awards. They are also a founding member of Chartered Accountants Worldwide (CAW). Described as an ‘educator, examiner, regulator, and thought leader,’ ICAS is a professional body for more than 20,000 members who have all achieved the internationally recognised chartered accountant qualification. Currently, there are 3,000 students actively involved with ICAS and many of these are based outside of the UK. ICAS are also a founding member of ‘Chartered Accountants Worldwide (CAW), connecting them to over 310,000 industry professionals. The Chartered Institute of Legal Executives (CILEx) is an awarding body, training provider and regulator for professional, vocational and legal qualifications. CILEx are proud advocates of the earn-as-you-learn route into law and have seen over 100,000 people choose CILEx for their legal career during the last 25 years. CILEx members are able to become qualified lawyers with CILEx qualifications. CILEx is unique in being a non-graduate route to qualification as a lawyer, as well as providing apprenticeships and a Graduate Fast-track route which gives law graduates a more affordable and viable alternative to the LPC. CILEx work closely with Government and the Ministry of Justice and are recognised in England and Wales as one of the three core approved regulators of the legal profession alongside barristers and solicitors. Founded in 1892, the Institute of Legal Executives became a company limited by guarantee in 1963 with the support and co-operation of the Law Society. On 30 January 2012, CILEx became incorporated by Royal Charter and are now known as the ‘Chartered Institute of Legal Executives’. In 2013, CILEx celebrated 50 years of legal careers. Statistics: Surpass User since 2016. The Actuarial Profession represents the members of the Institute and Faculty of Actuaries externally, and regulates those members for the benefit of the outside world. 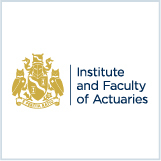 The Institute and Faculty of Actuaries is the chartered professional body for actuaries in the UK. The Actuarial Profession utilises the Surpass Assessment Platform to develop and deliver their on-screen examinations. Statistics: Contract since 2009. Over 26,000 members across the world. Established in the 1979, NEBOSH is a leading awarding organisation based in the UK, delivering a range of globally recognised qualifications in the health, safety and environmental management sector. 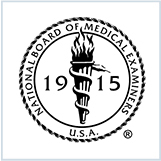 Statistics: 50,000 candidates across 600 course providers every year. 10,000 exams delivered outside of the UK. Prometric is a trusted and market-leading provider of technology-enabled testing and assessment. Supporting candidates worldwide and delivering more than 9 million tests each year, Prometric achieve this through their commitment to a set of values that get the right test to the right location, at the right time, and to the right test taker . Through innovation, workflow automation and standardization, Prometric advances test development and delivery solutions that are better, faster and less expensive for its clients. Prometric delivers tests flexibly via the Web or by utilising a robust network of more than 8,000 test centres in more than 160 countries and on behalf of more than 350 clients in the academic, financial, governmental, healthcare, professional, corporate and information technology markets. 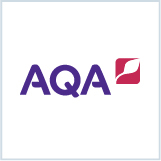 AQA is an educational charity and a leading provider of GCSEs and A-Levels. Its qualifications are used in most secondary schools in England, Wales and Northern Ireland as well as being internationally recognised. BTL began working with AQA in 2009 when they started using the Surpass Assessment Platform to deliver on-screen assessment for high-stakes exams. 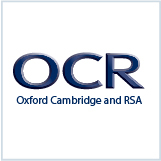 OCR (Oxford Cambridge and RSA Examinations) is a leading UK awarding body that offers a wide range of qualifications to schools, colleges, workplaces and other institutions. Their range of qualifications encompass: A Levels, GCSEs and vocational qualifications (including Cambridge Technicals, Cambridge Nationals and NVQs). OCR utilises BTL’s Surpass Assessment Platform to develop and deliver their on-screen Functional Skills qualifications. Surpass provides OCR’s customers with the ability to offer an on-screen exam service without compromising the integrity of the qualifications. 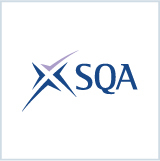 The Scottish Qualifications Authority (SQA) is an executive non-departmental public body (NDPB) sponsored by the Scottish Government Schools’ Directorate. It is the national accreditation and awarding body in Scotland. SQA works in partnership with schools, colleges, universities and industry to provide high quality, flexible and relevant qualifications and assessments – embedding industry standards where appropriate. In addition, SQA ensures that qualifications are inclusive, accessible to all and that they provide clear progression pathways, facilitate lifelong learning and recognise candidate achievement. BTL has been in partnership with SQA for many years, working on projects such as ESOL, SOLAR, Physics e-Assessment and Core Skills Assessment. Since 2008, SQA has licensed the Surpass Assessment Platform to develop and deliver e-Assessments across a broad range of qualifications. Statistics: Contract since 2004. Head Office based in Scotland. WJEC is an awarding body based in Cardiff, operating throughout Wales and England. Qualifications offered include: GCSEs, AS/A levels, Functional Skills, Entry Levels and the Welsh Baccalaureate. Approximately 4,000 examination centres are registered with WJEC in Wales and England: representing about 700,000 candidate entries for different subjects at the various levels. In addition to offering examinations and assessment, WJEC also provides professional development training courses for teachers and a range of educational support material in print and online. WJEC has been in partnership with BTL for e-Assessment services since 2008. WJEC use the Surpass Assessment Platform to develop and deliver their on-screen examinations. WJEC’s highly accessible on-screen exams are delivered in both the English and Welsh Languages. WJEC are very forward-thinking in their approach to e-Assessment, having delivered the first ever on-screen A-Level examination in the summer of 2009. Based in Germany, telc (The European Language Certificates) currently offers 80 different examinations in 10 languages based on international standards. Operating since the 1960s telc has built a huge international network of more than 2,000 licensed partners in over 20 countries, with over 13,000 licensed examiners in Europe. Trinity College London is a leading international exam board with a positive, supportive approach to assessment and development. They have been delivering external exams since 1877 and offer qualifications across a range of disciplines, including performing and creative arts as well as English Language learning and teaching. Preparing for exams and assessments helps equip people with the skills needed to communicate and perform effectively in real life situations. Trinity’s approach is to build learner confidence and inspire people to progress by marking stages of achievement at all levels of competence. Their qualifications are valued by colleges, universities and employers worldwide and help people achieve their personal, educational and career goals. Trinity deliver 700,000 assessments in over 60 countries each year. 700,000 assessments delivered in 60 countries each year. Gateway Qualifications is an Awarding Organisation offering Apprenticeships, Vocational Qualifications, Functional Skills, ESOL and Access to HE Diplomas, designed in collaboration with providers and employers to help organisations and learners achieve. Gateway Qualifications provides qualifications and units from Entry Level to Level 6 covering a wide range of vocational subjects, employability skills, preparation for life, work and further learning, English and Maths, Functional Skills and Professional Development all backed up by excellent customer service and a flexible approach for providers. 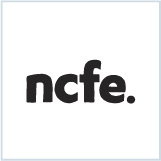 NCFE offer over 400 qualifications at different levels and in a wide range of subject areas including NVQs as well as Basic and Functional Skills qualifications. NCFE started using the Surpass Assessment Platform to deliver their on-screen exams in 2009. Assessments developed and delivered using Surpass include: Functional Skills English, Functional Skills Maths, Functional Skills ICT, Adult Numeracy, Adult Literacy, Key Stage Application of Number, Key Stage Communication and Key Skills ICT. 340,000 learners per year from over 2,000 colleges, schools and training organisations. 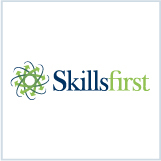 Skillsfirst Awards is the leading awarding organisation for the service industries. Skillsfirst is totally committed to developing a wide range of pre-employment and work-based learning qualifications that truly engage both learners and their employers. Skillsfirst utilises the Surpass Assessment Platform to develop and deliver Functional Skills qualifications at Levels 1 and 2 in English, Maths and ICT. 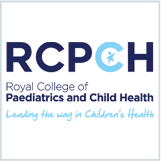 The Royal College of Paediatrics and Child Health is responsible for training and examining paediatricians in the UK. The College has over 16,000 members in the UK and internationally, and sets standards for professional and postgraduate medical education. In 2012 RCPCH began a project to transfer their existing paper-based examination process into an entirely computer-based one. Seven computer-based testing suppliers bid for the tender but the project board were unanimous in initially shortlisting 3 companies before selecting Surpass. EBS is the Graduate School of Business for Heriot-Watt University, a leading British University accredited by Royal Charter. EBS provides MBA, MSc and DBA programmes to distance learners and learners through approved learning partners across the world. In addition to its UK base, Heriot-Watt University has campuses in Dubai and Malaysia and also offers courses online and through partner organisations. Currently there are over 11,800 active students studying programmes provided by EBS across 166 countries. The MBA is the flagship programme within the EBS qualification suite. The programme involves an in-depth study of business management principles and consists of 7 core courses and 2 elective courses from a range of 37. In 2017, Edinburgh Business School were honoured at the first International e-Assessment Awards, winning the ‘Export’ category and gaining an honourable mention in the ‘Institution’ category. Breda University of Applied Sciences (NHTV) is an international higher education institution with more than 7,700 students from over 60 countries. Situated in the south of the Netherlands, Breda is a historical city with some 180,000 inhabitants. Breda University of Applied Sciences (NHTV) was founded in 1966 as an institute offering management programmes in tourism and leisure and has since grown to be a world leading education institution in this field of study. From the outset, Breda University of Applied Sciences (NHTV) has always had a strong international outlook. Most of the bachelor’s programmes and all master’s programmes are taught in English. Almost 50% of all students are attending these English-taught programmes, the institute has an international teaching staff, and nearly 13% of the total student population are from abroad. Breda University of Applied Sciences (NHTV) set up the ‘international classroom’, a teaching method in which students from different cultures work together. Students are encouraged to do work placements abroad or at companies with a strong international focus. International business, cooperation and co-creation are key elements in Breda University’s curriculum, both from a social and cultural perspective and from an economic point of view. Statistics: Contract since 2016. University based in the Netherlands. 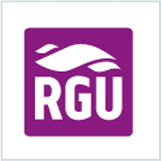 Rated the top UK University for Graduate Employment (Published by HESA, August 2015), Robert Gordon University in Aberdeen is responsible for students from over 130 nationalities, thanks to its integrated placements and links to industry. Their range of degree courses include online degrees as well as face-to-face tutoring in a diverse range of subjects from art and design to management and engineering. Statistics: Surpass Users since 2015. The University has a rich history – its roots can be traced back to the 1875. A merger of two educational institutions, the Hogeschool Enschede and Hogeschool Ijselland, in 1998 paved the way for Saxion University in its present form. This merger enabled Saxion to build further on its strong position in Dutch higher education and since then the University has come to be recognised as an important centre of expertise at regional, national and international level. Saxion attracts students from all corners of the globe: Afghanistan, Brazil, China, Egypt, Finland, Ghana, Hungary, Indonesia, Japan, Russia, Sudan, Taiwan, Uganda, Vietnam… the list represents an A-Z of 55 nationalities, contributing to a truly multi-cultural learning experience. Saxion University was already an experienced user of e-Assessment but wanted to find a system that better met the current and future needs of a large, modern, multi campus international University. So, it shortlisted three potential systems and carried out a rigorous selection process. 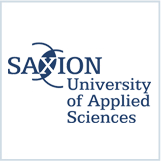 At the end of the process Saxion University chose Surpass from BTL. Statistics: Contract since 2012. University based in the Netherlands. Windesheim University of Applied Sciences is one of the biggest universities of applied sciences in the Netherlands. It hosts over 20,000 students and offers study programmes in over 50 disciplines. 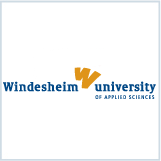 In 2013 Windesheim chose Surpass after a thorough review of available exam management and delivery systems, via a Public European Tender. Statistics: Contract since 2014. University based in the Netherlands. Founded in 1998, ABC Awards is a leading national awarding organisation with a long-established reputation for high quality support and services to the educational sector. They are committed to helping employers, organisations and learners cultivate the relevant skills for learning, skills for employment, and skills for life. ABC Awards is wholly owned by the EMFEC Group, a membership body with charitable status, which delivers umbrella services for colleges and providers in the further education sector. ABC Awards works with over 600 Centres nationally and help tens of thousands of learners progress in their chosen careers. Their comprehensive portfolio covers 12 industry sectors and is designed for all ages and abilities post-14. All their qualifications have been developed with the support of relevant stakeholders to make sure that they meet the needs and standards of industries across the UK. They are recognised by Ofqual and Qualification Wales and all of their qualifications are regulated. 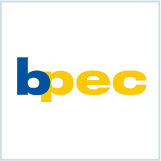 Originally established in 1997, BPEC Certification Ltd. operates as both an awarding organisation and a certification body overseeing the competence assessment of individuals working in the industry. In 1999, BPEC Certification Ltd. gained accreditation from The United Kingdom Accreditation Service (UKAS) as a certification body for the Nationally Accredited Certification Scheme for Gas Fitting Operatives (ACS) and in 2002, the organisation gained further UKAS accreditation as a certification body for the Oil Firing Technical Association for the Petroleum Industry Certification Scheme (OFTEC). With a specific focus upon providing high levels of quality and customer service, the organisation has quickly gained a reputation as a leading certification body. This reputation has been further enhanced by recently achieving OFQUAL recognition as an awarding organisation for vocational qualifications listed on the Qualifications and Credit Framework (QCF) including plumbing, gas, and renewable technologies (including Green-Deal). 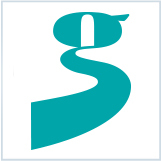 City & Guilds is the UK’s leading vocational education organisation. 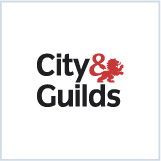 Approximately 1.8 million people are currently working towards a City & Guilds qualification in the UK and Ireland. City & Guilds has more than 10,000 centres in 81 countries all over the world – and an international network of offices to support them. The Surpass Assessment Platform is being used by City & Guilds within the e-volve platform for their global e-Assessment delivery programme. The platform includes: Walled Garden (where tests are scheduled), SecureAssess (the exam administration software) and SecureClient (the learner interface where the tests are taken). EAL (EMTA Awards Limited) is a specialist, employer-recognised awarding organisation for the engineering, manufacturing and building services, and other related sectors in the UK. EAL has been in partnership with BTL for e-Assessment services since 2008. EAL uses BTL’s Surpass Assessment Platform to develop and deliver on-screen examinations. The qualifications offered through the Surpass Platform include: VRQs, Technical Certificates in Apprentice Frameworks, Key Skills and Functional Skills. The Surpass Platform provides the flexibility for EAL candidates to take exams on-demand anywhere, including remote locations. Statistics: Contract since 2008. 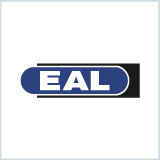 EAL offers over 300 qualifications and in the last 5 years 500,000 people embarked on an EAL qualification. Innovate Awarding provides EPA and accreditation services to a large number of employers and providers across a range of sectors, building strong partnerships with other companies to strengthen our client proposition and to ensure high quality Apprenticeships are successfully delivered. Innovate has been an Ofqual approved organisation since 2009 and has certificated over 100,000 programmes. We believe in investing in our staff and assessor associates and pride ourselves on the quality of our assessments. Statistics: Surpass Community member since 2017. JTLimited is the CompEx Certification Body, accredited by UKAS to ISO/IEC 17024:2012 General Requirements for Certification Bodies providing Certification of Persons. The CompEx Scheme now has 50 centres worldwide and provides core competency validation for operatives/technicians and engineers who work in explosive atmospheres in the oil, gas and chemical sectors. Over 60,000 candidates have been certificated since 1994 when the Scheme was first introduced. Highfield Awarding Body for Compliance is the UK and Middle East’s leading supplier of compliance qualifications and apprenticeships. It is regulated by Ofqual, Qualifications Wales, the Scottish Qualifications Authority (SQA) and the Security Industry Authority (SIA). Employing over 250 staff, Highfield offer over 200 qualifications and each year its training materials are used by over 2,000,000 learners. Highfield is a family-run business, operating on the core values of quality, value, service and integrity. The company works with some of the world’s most recognisable companies, including Marks and Spencer, Kraft Foods, John Lewis, Premier Foods and Emirates. TWI is the world’s largest provider of training in non-destructive testing (NDT), welding, welding inspection and a host of allied disciplines. Every year more than 26,000 customers globally benefit from their comprehensive programme of industrial training and development programmes. Programmes available include NDT training, welding inspection, plant inspection, quality control, underwater inspection, practical welding health and safety.